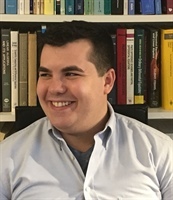 Masters physics student Gabriel Casabona has received the DOE Computational Science Graduate Fellowship, a highly-prestigious four-year graduate fellowship awarded to approximately 25 recipients nationwide each year. The fellowship carries a generous stipend of $36,000 annually, paid tuition and fees at any Ph.D. granting-institution in the US, an annual academic allowance for professional development and computer equipment, and a 12-week practicum at a DOE national laboratory. Gabriel studies turbulence-driven detonation of thermonuclear supernovae with CSCVR faculty member Robert Fisher. CSCVR faculty member, Scott Field, gave an ICERM Public Lecture on Discovering Black Holes and Gravitational Waves: Algorithms and Simulation. 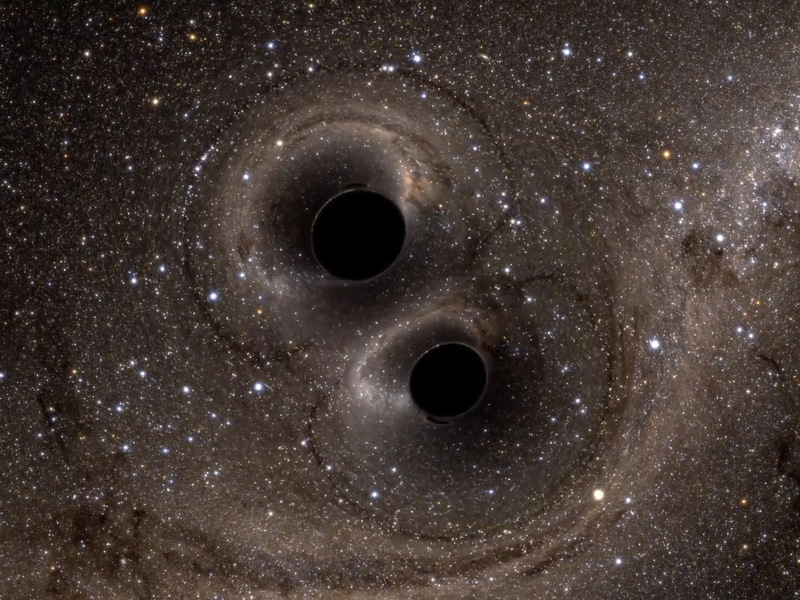 The event, which was attended by about 120 people, summarized the 100 years of work leading up to the recent Nobel-prize-winning gravitational wave detection. The talk especially focused on key contributions from mathematicians and computational scientists. The video can be viewed here. Doctoral student Caroline Mallary's research work gets some media attention (here and here). Arghavan Louhghalam (PI) and Mazdak Tootkaboni (co-PI) were awarded $224,341 through National Science Foundation CMMI division to study A Data-centric Uncertainty-informed Framework for Resilience Analytics of Critical Infrastructure Under Extreme Climate Events. Center Directors served as guest editors of a special issue of CiSE titled Supercomputing-Enabled Advances in Science and Engineering. The issue is available here." The recent New York Times article, Does Climate Change Have Anything to Do With Floods in Thailand?, features CSCVR faculty member Amit Tandon. 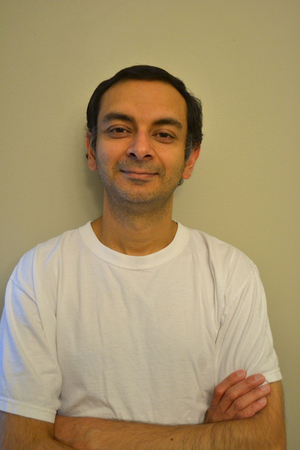 Professor Tandon studies ocean systems using a combination of analytical modeling and high-performance computing techniques. CSCVR faculty members Sigal Gottlieb (PI), Vanni Bucci (co-PI), Yanlai Chen (co-PI), Geoffrey Cowles (co-PI), Bo Dong (co-PI), Scott Field (co-PI), Alfa Heryudono (co-PI), Gaurav Khanna (co-PI), Maricris Mayes (co-PI), Mehdi Raessi (co-PI), Amit Tandon (co-PI), and Mazdak Tootkaboni (co-PI) were recently awarded $643,899 through the Office of Naval Research's Defense University Research Instrumentation Program, “A Heterogeneous Terascale Computing Cluster for the Development of GPU Optimized High-order Numerical Methods”. These funds will allow the CSCVR to bring a new, state-of-the-art supercomputing cluster to the UMassD campus. Data Center Dynamics just published a thoroughly researched story about Sony PlayStations and their supercomputing legacy, with a detailed interview with our own, Professor Khanna. The story appears on page 44 of the April/May issue. In the attempt to treat several digestive ailments such as inflammatory or allergic diseases, doctors and scientists did not have an accurate prediction system to find the right balance of bacteria to produce a healthy gut. But now, due to the research conducted by CSCVR faculty member Vanni Bucci alongside colleagues at Dana-Farber Cancer Institute, a prediction model exists that could yield effective tools in the quest for digestive health. Read more about their work here. Dr. Gaurav Khanna published a paper that sheds new light on space's most mysterious phenomena. With collaborators, Dr Khanna demonstrates the existence of extreme black holes that until now were thought to be theoretical and unobservable. Extreme black holes differ from traditional black holes because they have the fastest possible spin allowed by Einstein’s theory of relativity. This work upends conventional wisdom on extreme black holes, which presumed these objects were unstable, and thus did not exist in nature. UPDATE: This work was recently featured on local ABC6 news, where PhD students Alec Yonika and Caroline Mallary describe their exciting contributions to this work. Also catch the radio interview and a story in Forbes magazine! Zachary J. Grant of University of Massachusetts, Dartmouth received the 2017 SIAM Student Paper Prize and presented his winning paper at the SIAM Annual Meeting, held July 10-14, 2017 in Pittsburgh, Pennsylvania. SIAM recognized Grant for the paper, Explicit Strong Stability Preserving Multistage Two-Derivative Time-Stepping Schemes, co-authored with Andrew Christlieb of Michigan State University, Sigal Gottlieb of the University of Massachusetts, Dartmouth, and David C. Seal of the United States Naval Academy. The paper was published in Journal of Scientific Computing in 2016. An interview with Zach appears in SIAMs spotlight and campus highlights. Journal paper highlighted for cutting edge black hole research. CSCVR Director Prof. Gaurav Khanna's recent paper with Richard was one of small handful of papers selected for special recognition by the Classical & Quantum Gravity journal. It appears on their 2017 Highlights listing. 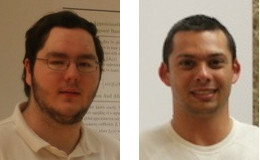 Alec Yonika, PhD candidate, and Izak Thuestad, MS candidate, have recently published their research findings on different aspects of black hole physics in top research journals." CSCVR Director Prof. Gaurav Khanna proves haters wrong! CSCVR Director Prof. Gaurav Khanna's PlayStation 3 supercomputer is featured as one of the 11 Inventions That Proved Haters Wrong." CSCVR faculty member Scott Field (Mathematics) was recently awarded a $26,560 grant from the National Institute of Aerospace to assess the viability of discontinuous Galerkin methods for solving challenging fluid simulation problems (such as rocket reentry) of interest to NASA Langley. Work will be carried out with collaborators Alireza Mazaheri (NASA Langley) and Aakash Kardam (UMass Dartmouth masters student). 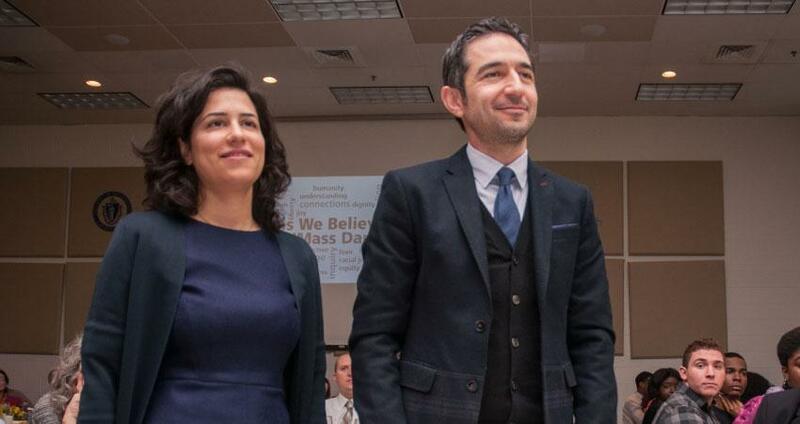 CSCVR faculty members Arghavan Louhghalam and Mazdak Tootkaboni from the Department of Civil Engineering in the College of Engineering will be part of a team of four civil engineering professors who will co-chair the 2018 conference of the Engineering Mechanics Institute (EMI) of the American Society of Civil Engineers. Read more here. The CSCVR sponsored an engineering undergrad student Brendan Rubell to join the Boston Green Team as a participant in the Student Cluster Competition at one of the largest international supercomputing conferences (ISC '17, Hamburg, Germany). This is the first time UMass Dartmouth has participated in this international competition. Meet the UmassD team!" Rahul Kashyap wins best student talk at the Eastern Gravity Meeting. Congratulations to Rahul Kashyap (EAS Ph.D. '17) who won the best student talk at the 20th Eastern Gravity Meeting hosted by the Institute for Gravitation and the Cosmos at Penn State. Rahul's talk "Type Ia Supernovae through Spiral Instability in Binary White Dwarf Mergers" describes his recent work simulating white dwarf mergers on some of the nation's largest supercomputers. " 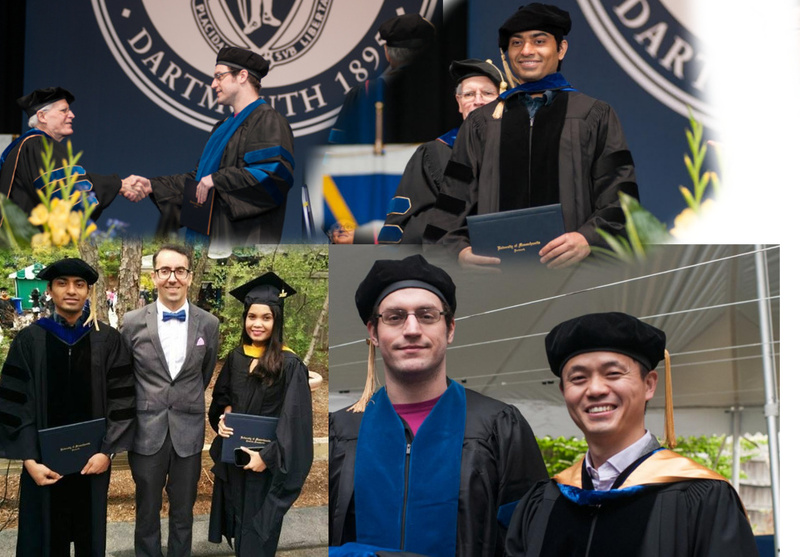 Congratulations to our recent CSCVR graduates Rahul Kashyap (EAS Ph.D. '17), Tazkera Haque (Masters '17), and Chris Bresten (EAS Ph.D. '17). Rahul has accepted an offer to work after graduation as a postdoctoral research scholar jointly at the Max Planck Institute for Gravitational Physics (also known as the Albert Einstein Institute) in Hanover, Germany. Tazkera will be continuing her studies as a Judy Young PhD Fellow at UMass Amherst. Chris has accepted a postdoctoral fellow position at Bentley. Zach Grant (EAS Ph.D. 2017) wins SIAMs national Student Paper Prize award. Ph.D student Zack Grants paper Explicit Strong Stability Preserving Multistage Two-Derivative Time-Stepping Schemes was selected as one of the winners of the 2017 SIAM Student Paper Prize. There are 3 prizes each year and each is given a $1000 prize and $500 in travel support to the SIAM annual meeting. Zach will present the winning paper in a special session at the SIAM annual meeting. The paper was co-authored by CSCVR faculty member Sigal Gottlieb and collaborators Andrew J. Christlieb and David C. Seal. The CSCVR at the University of Massachusetts Dartmouth is a leading campus contributor to a new index of research productivity. Dr. Amit Tandon (Mechanical Engineering), who was recently awarded a $753,841 grant from the Office of Naval Research to study monsoon in the Indian Ocean and over the Asian land mass in partnership with several other U.S. institutions as well as institutions in India and Sri Lanka. UMass Dartmouth Center for Scientific Computing and Visualization Research will acquire a new rapid prototyping machine, a powerful computer server intended for use in collaborative multidisciplinary research among faculty members and students from different departments with diverse programming background. The new rapid prototyping server (rps) is a single high-end Linux server with 3.2 GHz multicore Xeon CPUs, 256GB RAM, and can handle up to 4 GPUs. Popular rapid prototyping software such as anaconda python 2 and 3, Julia, MATLAB with parallel computing toolbox, and Mathematica with GPU support will also be installed. With convenient feature such as UMassD logon, the server can also be seen as an extension of faculty's office workstations or as a test machine prior to scaling up computing jobs to UMass Dartmouth multinode servers: ARNiE and HPCC or MGHPCC (UMass-wide supercomputer). The older rapid prototyping server will be repurposed as a machine for teaching introduction to scientific computing (MTH280), mathematical and computational consulting (MTH540), and high performance scientific computing (EAS520) courses. Prototyping projects currently conducted on the older machine includes but not limited to deep learning with Mathematica, numerical simulation of systems of PDEs, development of new time-stepping methods, and preconditioning techniques for generalized finite difference sparse systems. Smooth transition from older to new rps system will be expected in the summer of 2017. 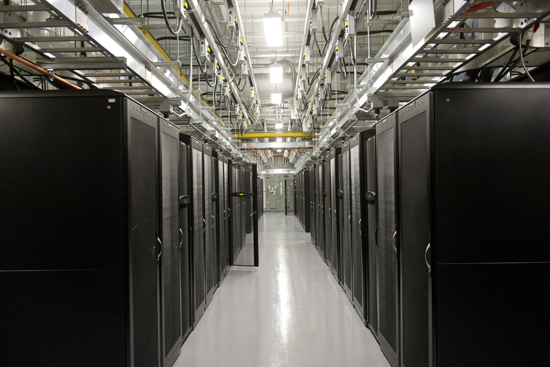 The UMass shared cluster at the MGHPCC is a large (~15,000) processor-core supercomputer system that serves the entire UMass system's computational scientists. From astrophysicists at the Amherst and Dartmouth campuses, to biomedical researchers at Worcester, this key central facility provides the computational resources needed to advance world-class research programs across the system. While a large number of processors is the most common way to build powerful supercomputers today; lately advances in graphics processors (GPUs) has allowed them to be used as accelerators for scientific calculations often delivering a speed-up of over an order-of-magnitude. Rahul Kashyap (EAS Ph.D. '17) has accepted an offer to work after graduation as a postdoctoral research scholar jointly at the Max Planck Institute for Gravitational Physics (also known as the Albert Einstein Institute) in Hanover, Germany, and the International Centre for Theoretical Sciences in Bengaluru, India. 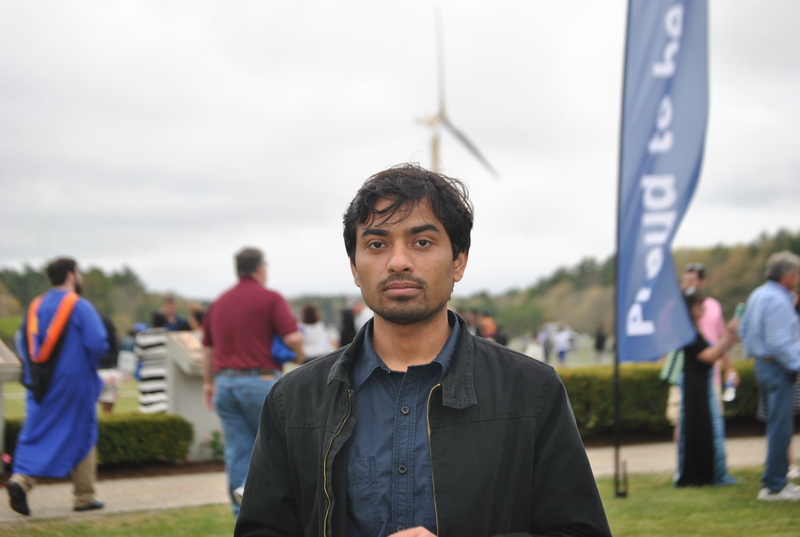 During his Ph.D. studies at UMass Dartmouth, Rahul investigated the nature of a class of exploding stars, or supernovae, using some of the largest supercomputers in the world. Rahul was supported on a Distinguished Doctoral Fellowship provided by the Graduate Studies Office, the Physics and Mathematics Department and the Center for Scientific Computing and Visualization Research. Please see the University's press release to learn more about Rahul's research. CSCVR Directors, Prof. Sigal Gottlieb and Prof. Gaurav Khanna are serving as guest editors for a special issue of the well-established IEEE / AIP journal Computing in Science & Engineering. The special issue is titled ”Supercomputing-Enabled Advances in Science & Engineering” and will publish papers that report on impactful advances enabled by large-scale computing in any area of science or engineering. All submitted papers will be peer-reviewed. Two screenings of Interstellar took place on the day of Dr. Thorne's visit to the Dartmouth campus. Dr. Thorne, the Feynman Professor of Theoretical Physics, Emeritus at Caltech, joined UMass Dartmouth faculty, students, and the local community for a series of talks and a panel discussion on the science of Interstellar. The talks can be viewed on the event's webpage. 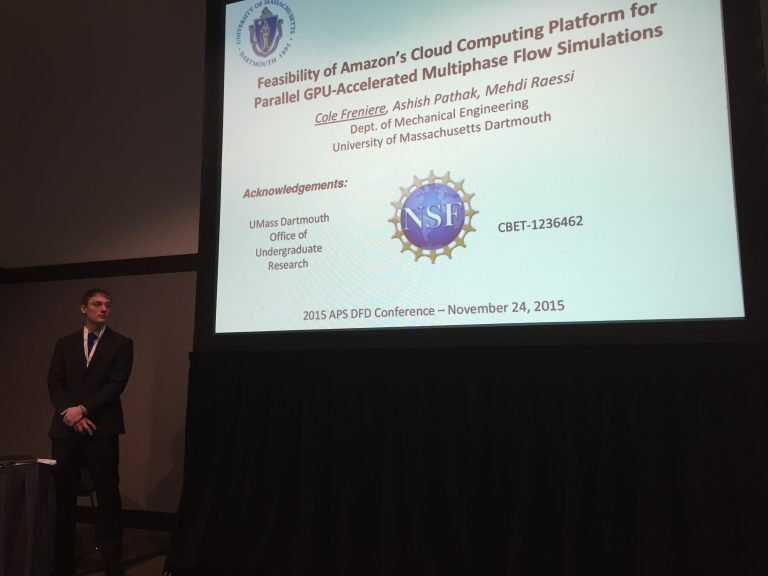 CSCVR undergraduate Cole Freniere, along with CSCVR faculty members Ashish Pathak, Mehdi Raessi and Gaurav Khanna, explore Amazon's Cloud Computing resources for the simulation of Ocean Wave Energy Converters interacting with ocean waves. These wave energy converters are complex to simulate, and traditionally require a large supercomputer to run for an extended period of time. Amazon, whom we all know for its large online store, also offers computing resources in the Cloud, which customers can essentially rent". The novel cloud computing model offers the possibility of reducing the cost of computational fluid dynamic simulations and unlocking the potential of wave energy converters as a future source of renewable energy. To read more about Cole's research on Ocean Wave Energy Converters and cloud computing, please see Going into the Cloud to Study Renewable Energy Extraction from Ocean Waves. This project was made possible with support from the National Science Foundation (CBET Grant No. 1236462)." The Center for Scientific Computing and Visualization Research would like to acknowledge the 98th birthday of Katherine Johnson on August 26.2016. Katherine Johnson was a pioneering African American woman in the field of computational mathematics. Her work at NASA over many decades had major impact in computational space science. 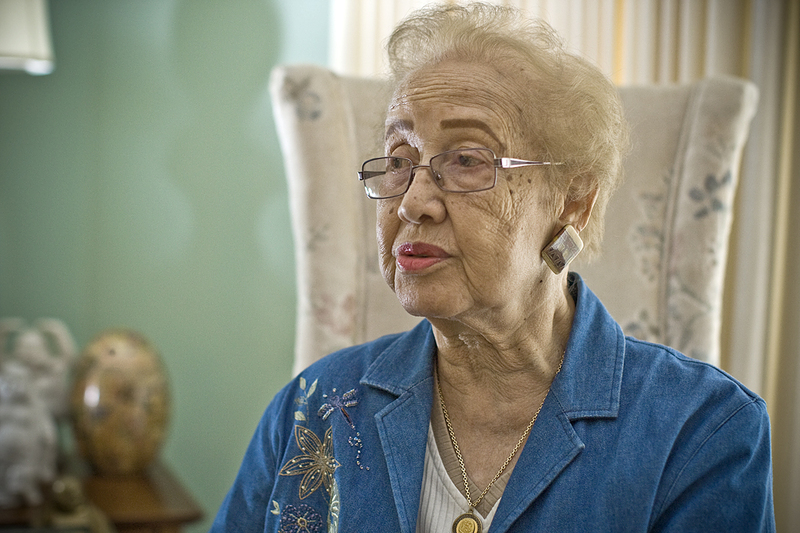 To read more about Katherine Johnson, please see the wikipedia page or watch this film. Today, major advances in nearly all types of science and engineering are aided by computation. Indeed, high-performance computing (HPC) or supercomputing is now considered as the third pillar of scientific discovery alongside experiment and theory. Massachusetts universities (both public and private) excel in this emerging area and have a strong and diverse group of computational scientists and engineers across each campus. UMass Dartmouth’s Center for Scientific Computing & Visualization Research (CSCVR) organized and hosted “HPC Day 2016” on May 17th — a conference to showcase compute intensive research from researchers in this community from all over Massachusetts. There were participants from: Northeastern University, Boston University, MIT, UMass Amherst, Dartmouth & Lowell and even industry. A special poster session with awards for student projects was included as well. 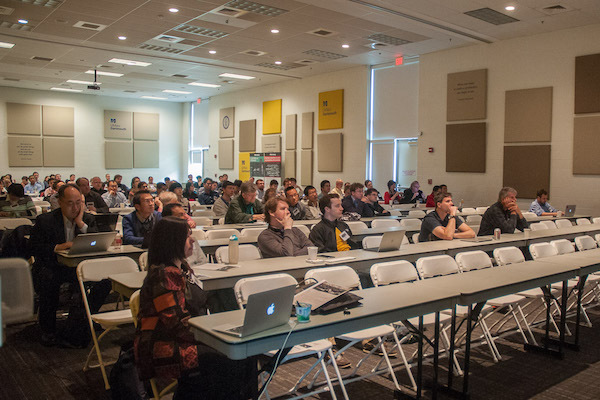 This conference was a follow-on event from the inaugural “UMass HPC Day” conference hosted at UMass Dartmouth in 2014. The event featured a total of 11 talks with topics ranging from engineering microbial systems to renewable energy extraction from the ocean. Over 145 attendees registered in this event in total and 30 student posters were presented. More details on the program may be found on the CSCVR website. Six awards were granted that were made possible via generous donations by Nvidia, SIAM and MathWorks. The conference lunch was sponsored by Microway Inc. The keynote speaker was Dr. Jeremy Kepner from MIT Lincoln Lab who gave an fascinating and deeply engaging lecture titled “Interactive Supercomputing for High Performance Data Analysis.” The event also featured an interactive Education Panel that included stakeholders from industry and academia to discuss issues associated with HPC education and training. The CSCVR also used this event to debut a new innovative, prototype supercomputer built entirely of mobile-devices (in particular, Nvidia Tegra X1 components used to build tablets) dubbed “Elroy”. The system’s total compute capacity is 16 Tflop/s and consumes just over 300W total power. The unique feature of this 32-node system is its extremely high power efficiency -- an order-of-magnitude larger than traditional systems. This was made possible by leveraging recent, very significant power-efficiency related advances that have been cleverly engineered into current cell phones and other mobile devices (to prolong battery life). Power-efficiency is a limiting feature in large scale supercomputing as well, due to the expense associated to large power consumption and corresponding cooling requirements. Elroy demonstrates a unique approach towards potentially meeting this challenge. This project was a result of a collaborative effort between the CSCVR and UMass Dartmouth CITS. The CSCVR has a history of developing innovative supercomputers from using gaming consoles to more recently, using video-gaming graphics cards. The CSCVR provides undergraduate and graduate students with high quality, discovery-based educational experiences that transcend the traditional boundaries of academic fields, and foster collaborative research in the computational sciences. The CSCVR's computational resources are being utilized to solve complex problems in the sciences ranging from the modeling of ocean waves to uncovering the mysteries of black hole physics. Please check the conference webpage fore more details including sample pictures of the day. The CSCVR is in the process of accepting an in-kind "SwitchBlade" grant from Hewlett Packard Enterprise (HPE). The granted equipment consists of an HP SwitchBlade Center chassis that contains the required power and networking infrastructure to support up to 16 high-end blade servers for high-performance computing. Two servers are included in this grant, leaving room for straightforward and low-cost expansion in the future. The granted hardware is valued at $95K. With the two included servers, the system currently has 64 Intel Xeon E5 processor cores, 512 GB main memory, 2 TB storage connected via a high-speed network. This grant is a result of efforts made by Glenn Volpe (HPE) and CSCVR Associate Director Professor Gaurav Khanna on behalf of the CSCVR. The SwitchBlade system is currently being leveraged to attract new top-notch faculty to the university. These faculty and their students will be affiliated with the CSCVR. The center periodically holds conference showcasing compute intensive research at the UMass system. This year's version extends to several members of the MGHPCC. Here is the conference webpage. Here is the UMassOnTheMove article about the event. 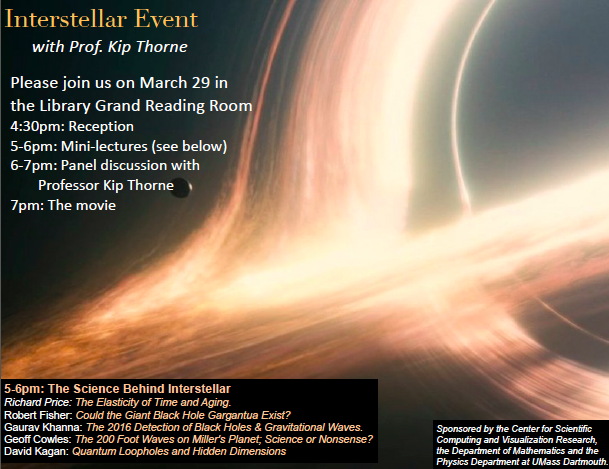 The Center for Scientific Computing and Visualization Research welcomes renowned physicist Dr. Kip Thorne on March 29. Sponsoring the event together with the departments of mathematics and physics, the center has arranged a series of events including a reception, mini-lectures, and a panel discussion. See the poster for more details. 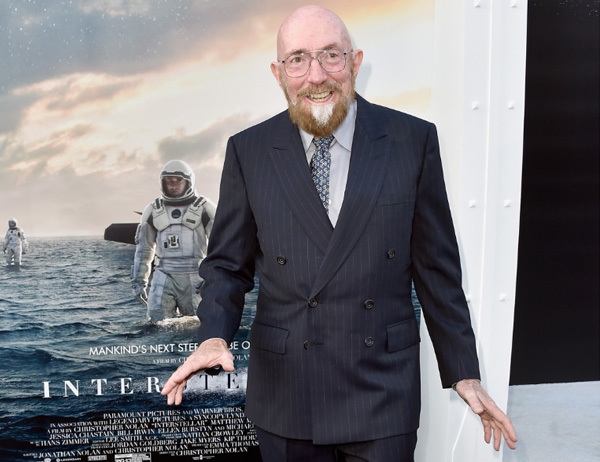 Dr. Thorne, the Feynman Professor of Theoretical Physics, Emeritus at Caltech, is the originator and guiding hand of the 2014 blockbuster movie Interstellar. 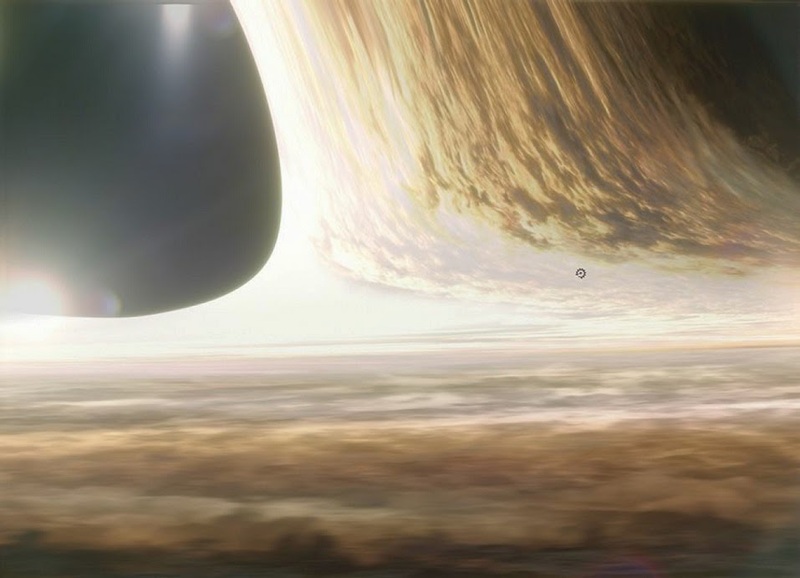 The movie is based on black holes and spatial wormholes which are the focus research areas of a few center affiliates'. Dr. Thorne will join UMass Dartmouth Physics faculty Robert Fisher, David Kagan, Gaurav Khanna, Richard Price, and School for Marine Science & Technology (SMAST) Professor Geoff Cowles in the Claire T. Carney Library Stoico/FIRSTFED Charitable Foundation Grand Reading Room at 4:30 p.m. for a reception followed by a series of talks at 5 p.m. and a panel discussion at 6 p.m. on the science of Interstellar. The night ends with a screening of the movie Interstellar at 7pm. Read the full UMassD news release. Physicists Lior Burko at Georgia Gwinnett College, Gaurav Khanna at the University of Massachusetts Dartmouth, and Anil Zenginoglu at the University of Maryland have published a Rapid Communication in Physical Review D , that includes the first computer simulation of the interior of a rotating black hole. New mathematical and computational techniques had to be developed to perform the simulations accurately. The high-precision computations involved were particularly intensive, requiring the novel GPU-supercomputing resources of the CSCVR. This research was supported by the National Science Foundation. The Center for Scientific Computing & Visualization Research (CSCVR) promotes the mission of UMass Dartmouth by providing undergraduate and graduate students with high quality discovery-based educational experiences that transcend the traditional boundaries of academic field or department, and foster collaborative research in the computational sciences within the university and with researchers at other universities, national labs, and industry. Khanna serves as the associate director of the CSCVR. UMass Dartmouth Mathematics Professor Dr. Sigal Gottlieb has received a $271,299 grant from the Air Force Office of Scientific Research (AFOSR) to improve current numerical methods used in simulations in the design of planes. For more information, see the UMassD press release. The Summer 2015 CSCVR Newsletter has been released. Highlights include the recently donated computational clusters, using mobile phone processors for supercomputing, summer internship destinations for CSCVR students, and recent funding accomplishments by CSCVR faculty. 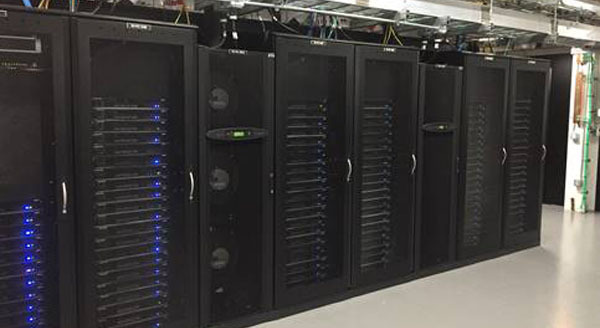 New supercomputers donated to UMass Dartmouth are expected to greatly increase the university's data capacity and research capabilities. "The donated supercomputer will triple our computational capability at the Center for Scientific Computing and Visualization Research," said associate professor Gaurav Khanna, who studies how black holes captures stars. 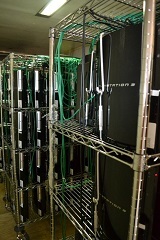 The University of Massachusetts Dartmouth’s Center for Scientific Computing & Visualization Research (CSCVR) has received donations of two supercomputers that were built and used for mining Bitcoins. Bitcoin is a digital currency that has garnered a lot of popular media attention recently. In addition to buying a Bitcoin, that runs for around $250 these days, one can also "mine" or generate it, using a powerful computer by solving a cryptographic puzzle. However, Bitcoin is designed in a way that the more mining that occurs, the harder it becomes to mine via an exponential increase in its complexity. So, a powerful computer today that could mine effectively, in a few months would be essentially worthless due to the rapid increase in Bitcoin's complexity. Now, there are investors that built very large supercomputers solely designed to mine Bitcoins — some spending even millions of dollars to build these systems — that are now largely useless, at least from the Bitcoin mining perspective. These machines are sitting idle or simply turned off. In December 2014, the New York Times’ Laura Parker covered Prof. Gaurav Khanna’s novel use of PlayStations for his computational research in black hole astrophysics in a full length article. 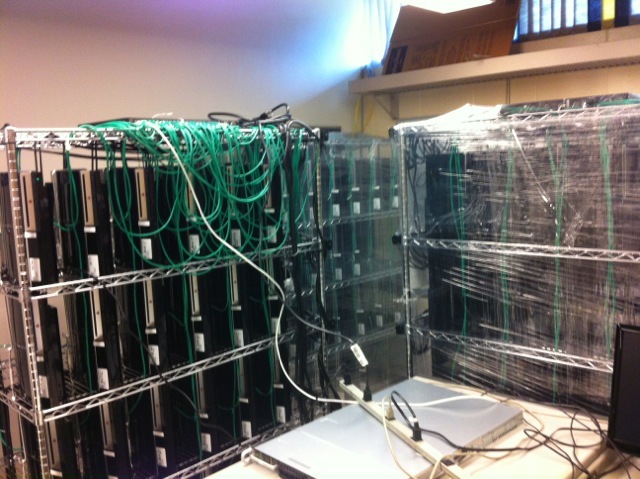 Two Bitcoin mining investors read the story and decided to donate their large supercomputers to the university campus for enabling research productivity further in the CSCVR. The two donated systems are very well suited to enable research in the CSCVR. The key feature of both systems is that they are GPU-accelerated i.e. they use high-end video-gaming graphics-cards to speed up numerical calculations significantly. These make the systems excellent for a large variety of scientific applications. 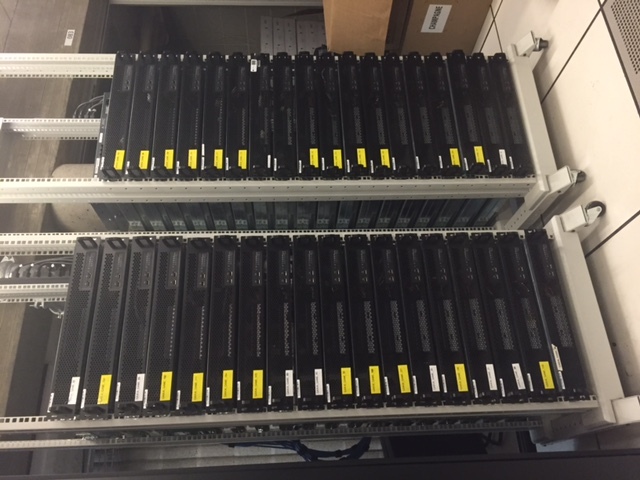 The larger system amongst the two was built in 2012 at cost nearing a million dollars and consists of 180 servers installed in 10 racks, integrated tightly over a fast network. Its replacement cost today could be in ballpark of $400,000. The donor, Daniel Driscoll of San Francisco shares his thoughts on his donation: "This past winter during my morning commute, I stumbled across an article about a research project that recently used a networked super computer modeling the physics of black holes. Having grown up in the 80's next to the shuttle launch pad in Cape Canaveral, Florida, I remain an ardent fan of all things space. What struck me as even more interesting was how Professor Gaurav Khanna had created this super computer from now derelict Playstation 3 consoles. Being now part of the game industry, I was all too familiar with the transition of Playstation fans to the new flagship, the Playstation 4, and had myself done a few experiments to understand the potential uses for the no-doubt countless number of old Playstation 3's likely going to the trash. One such experiment involved a private venture to explore and understand the Bitcoin craze of 2013, a venture that ultimately proved fruitless but left me in possession of not just several Playstations, but all also a large collection of what I had deemed a more effective array of server computers. 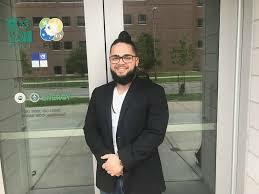 Now that bitcoin has come and gone for the hobbyist farmer, Professor Khanna and the University of Massachusetts Dartmouth has provided me an opportunity to join those explorers I once grew up with, if only in my own small way." The donor of the smaller system chose to stay anonymous; the university respects their privacy and therefore will not comment on any further details. Prof. Sigal Gottlieb, the Director of the CSCVR remarks on how the donation would impact the research productivity of the Center: "The new computational cluster will be a tremendous addition to the resources of the CSCVR. The new system will triple the computational power available to us, significantly increasing our research abilities. All CSCVR members, and our students, will benefit from this valuable computational tool as we continue to expand the scope and range of the computational problems we are attacking." Moreover, multiple new faculty that are joining the university would also be able to utilize the same resources to jump start their research programs. In the long run, the large computational resources of the CSCVR will help attract top talent (both faculty and students) to the campus and thus strongly enhance the campus’ research profile. College of Engineering and Campus’ IT services have worked hard and supplied resources to accommodate this significant sized supercomputer, and are committed towards ensuring full utilization of the system. The CSCVR provides undergraduate and graduate students with educational experiences in supercomputing and fosters collaborative research in the computational sciences within the university and with researchers at other universities, national labs, and industry. Khanna serves as associate director of the Center. See the full press release for details. Dr. Vanni Bucci, Assistant Professor of Biology and CSCVR faculty, is Principal Investigator for a recent grant: federal award number 1458347 from the National Science Foundation for "ABI Innovation: A new computational framework for the prediction of microbiome dynamics". Dr. Vanni Bucci, Assistant Professor of Biology and CSCVR faculty, is Principal Investigator for a recent award from the National Institutes of Health to apply Big Data for the treatment of infectious diseases. See the full press release for details. CSCVR faculty member Dr. Akil Narayan has been awarded a Young Investigator Research Program (YIP) grant for a project titled "Optimal and unstructured high-order non-intrusive approximations for uncertain parameterized simulations". 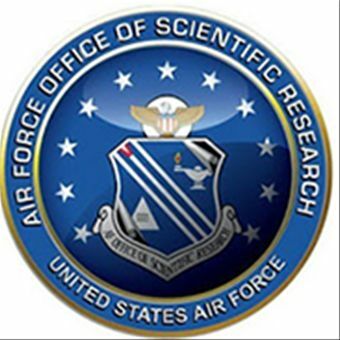 YIP grants are awarded to "foster creative basic research in science and engineering; enhance early career development of outstanding young investigators; and increase opportunities for the young investigator to recognize the Air Force mission and related challenges in science and engineering". Gaurav Khanna, Associate Professor in the Physics Department and Associate Director of the Center for Scientific Computing and Visualization Research (CSCVR), is featured in a New York Times article for his work. Dr. Khanna's research features the construction of PlayStation-powered supercomputers, and their use in black hole simulations. UMass HPC day is a showcase of computational research within the UMass system, featuring speakers from five UMass schools, and industry leaders. The event is organized by the CSCVR, and will be held at the ATMC on the UMass Dartmouth campus. UMass Dartmouth's novel supercomputer tops the well-known RC5 cryptography challenge list. The RC5 cryptography challenge (Wikipedia) was originally started by RSA Laboratories as a worldwide contest to decode a cipher by finding the secret cryptographic key using a brute-force approach. The 72-bit version of the same contest continues today, conducted by distributed.net -- one of the oldest open public distributed computing projects on the internet. Professor Gaurav Khanna of the Physics Department and associate director of the Center for Scientific Computing and Visualization Research (CSCVR), and computer technician Glenn Volkema, have built a novel supercomputer using consumer video-gaming components (over a hundred Sony PlayStations and multiple AMD Radeon graphics-cards) that has enabled the campus' rank to soar to the absolute top of the RC5-72 contest participant list (link). This unique system is generating approximately 50 billion keys per second and is slated to have a 1 in 10 chance for winning the contest all by itself! The supercomputer has been built to study various astrophysical problems associated to binary black hole systems and gravitational radiation. Physics Department graduate students, Tyler Spilhaus and William Duff are already utilizing the system extensively for their research projects in this context. In addition, Computer and Information Science major, Violet Pfeiffer will be using the system to study different aspects of cryptography and cybersecurity. Space.com has published an article featuring CSCVR Associate Director Gaurav Khanna's research. Dr. Khanna's work focuses on using computational methods for astrophysics, and seeks to understand how black holes interact with other stars and other black holes. See the full Space.com story about Dr. Khanna's work, which incorporates high-performance supercomputers, advanced computational algorithms, and state-of-the-art astrophysical modeling. 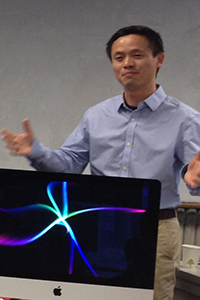 Sung Hoon Kim earns Ph.D. Sung Hoon Kim is the receipient of the first Engineering and Applied Sciences Ph.D. from UMassD under direction of Physcis Professor Jong-Ping Hsu. Dr. Kim's thesis is entitled "Investigation of the Graviton Self-Energy with General Gauge in Yang-Mills Gravity". See the full press release for details. 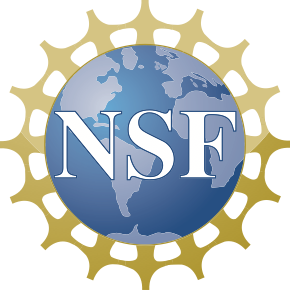 Principal Investigator Akil Narayan and Co-Principal Investigator Alfa Heryudono are recipients of federal award number 1318427 from the National Science Foundation for "Computation of crowded geodesics on the universal Teichmüller space for planar shape matching in computer vision". Principal Investigator Mehdi Raessi is the recipient of federal award number 1336232 from the National Science Foundation for "Collaborative Research: Analysis and design of textured super-hydrophobic surfaces capable of preventing ice formation on wind turbine blades". The Center for Scientific Computing and Visualization announces a fall workshop presenting advances in scientific computing at UMassD. The workshop is scheduled for September 17, and September 24, 2013 and will be held in Textiles 105. Details are available on the workshop webpage. 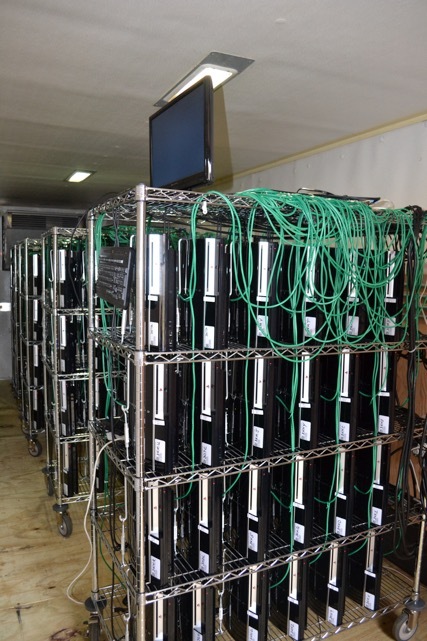 The Air Force Research Lab (AFRL) at Rome, NY has granted UMass Dartmouth's new Center for Scientific Computing and Visualization Research (CSCVR) four full racks (176 units) of Sony PlayStation 3s for research computing. UMass Dartmouth pioneered the use of PS3s for astrophysics research back in 2007 when Prof. Khanna of the Physics Dept. created a compute cluster of 16 PS3s and ran his black hole research simulations at supercomputer-level performance. In 2011, the US Air Force commissioned a similar, but much larger system (1,760 PS3s) called CONDOR for a wide range of military and academic uses. Under a federal CRADA agreement, AFRL has now granted a portion of CONDOR to UMass Dartmouth for further exploration of such novel computational technologies for the purposes of scientific high-performance computing. See some pictures of the cluster: Picture 1, Picture 2, Picture 3. For more details, see The PS3 Gravity Grid. Andrew Davey, recipient of the Ben L. Fryrear Fellowship in Computational Science, will pursue graduate studies at The Colorado School of Mines. Ed McClain will pursue graduate studies in numerical relativity in the Astrophysics program at Louisiana State University. 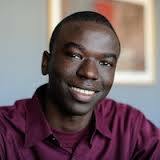 Sidafa Conde, a CSCVR graduate student, has been named a 2014-2015 XSEDE scholar. XSEDE scholars are awarded support to hone research skills in high-performance and scientific computing. Associate Professor Gaurav Khanna builds low-cost supercomputer, performance comparable to nearly 3000 processor-cores of typical laptop or desktop. 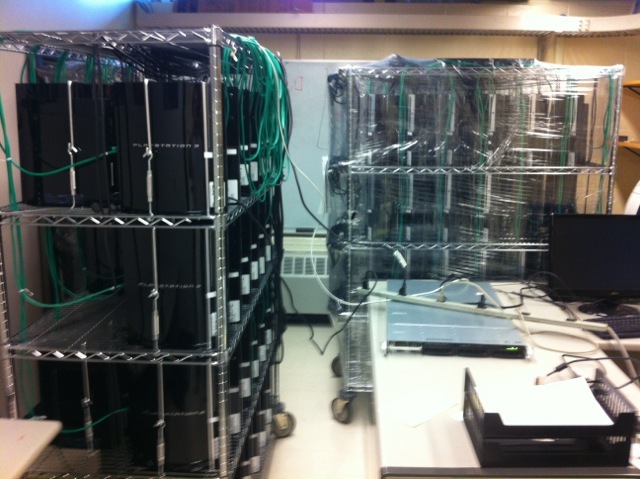 Physics professor and CSCVR associate director Gaurav Khanna has built an extremely low-cost supercomputer using 176 Sony PlayStation 3 (PS3) gaming consoles installed in a refrigerated shipping container "reefer" of large cooling capability on the UMassD campus. 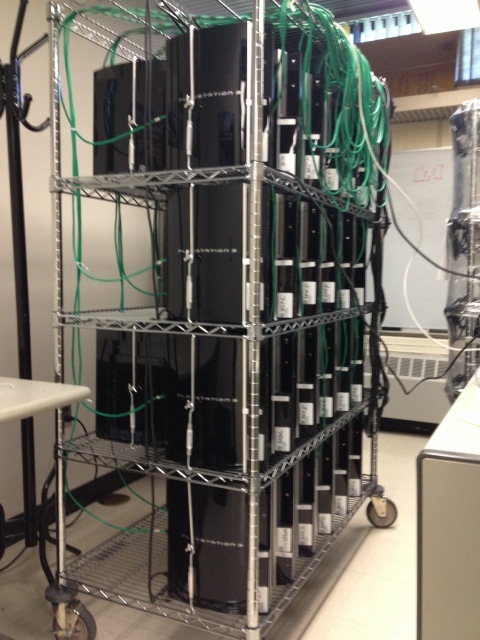 The PS3 cluster is currently being used by UMass Dartmouth's Center for Scientific Computing and Visualization Research (CSCVR) to perform large and complex calculations in the context of black hole astrophysics, and also explore vulnerabilities in cybersecurity. See the full press release for details. Principal investigator Gaurav Khanna is the recipient of federal award number 1414440 from the National Science Foundation for "An Evaluation of Video-Gaming Technologies for Scientific High-Performance Computing in Gravitational Physics". Principal investigator Bo Dong is the recipient of federal award number 1419029 from the National Science Foundation for "Development of superconvergent hybridizable discontinuous Galerkin methods and mixed methods for Korteweg-de Vries type equations". Principal investigator Cheng Wang is the recipient of federal award number 1418689 from the National Science Foundation for "Highly efficient and accurate numerical schemes for nonlinear gradient flows with energy stability". Principal investigator Mazdak Tootkaboni is the receipt of federal award number 1401575 from the National Science Foundation for "Collaborative Research: Optimal Design of Flaw-tolerant Structures and Material Microarchitectures via Stochastic Topology Optimization." CSCVR faculty member Dr. Mazdak Tootkaboni has been awarded an NSF CAREER grant, federal award number 1351742 for "CAREER: Predictive Analysis of Stability-Critical Structures: an Uncertainty-Informed Path from Measurements to Theory." CAREER Awards are the "National Science Foundation's most prestigious awards in support of junior faculty who exemplify the role of teacher-scholars through outstanding research, excellent education and the integration of education and research within the context of the mission of their organizations."